What am I missing? I’ve hit switches, tapped every wall, but can’t seem to bring down the force fields...help!!! There is a switch in the Mid center that removes one. 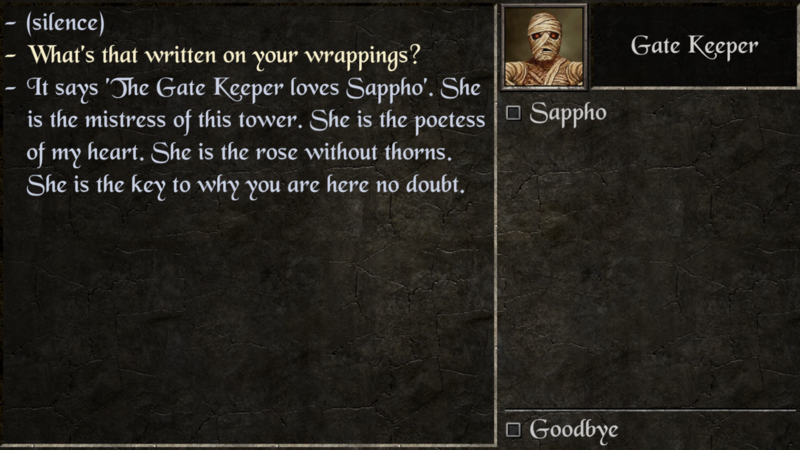 To remove the other, you have to talk to Sappho there. Cross the holes. Okay, wait... I guess i’m Missing some IQ, but I can’t open the gate in front of the main entrance to get to one of the switches....ugh! There is a secret switch. If you need a pic, let me know. 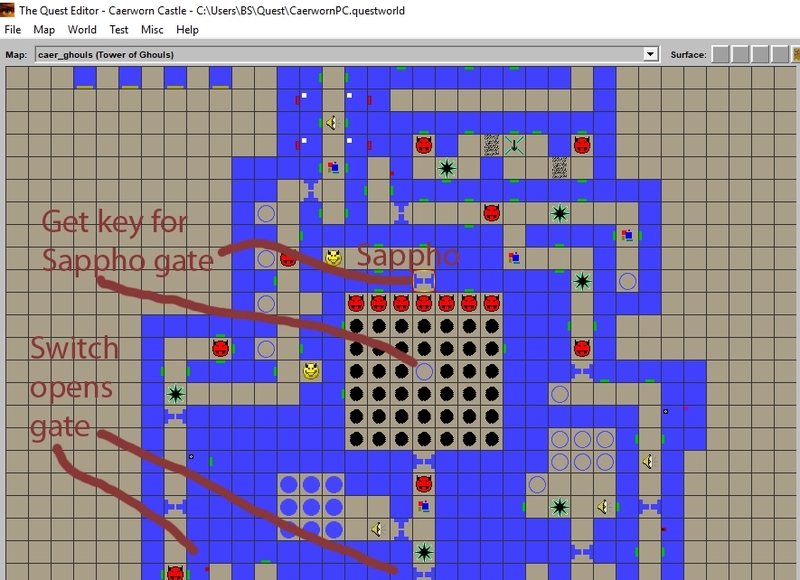 How to pass the gate at north west just after the four mirrors ? There are no mirrors in the Tower of Ghouls that I can see. You might mean chairs. To open the northwest gate there, you need an Autographed Amulet. Someone gives it as a quest prize i think but you can also buy one from Epona the Jeweler if you sleep outside her shop long enough. The other gate there in the middle of the north, you need a Gold Figurine that's on a shelf there. Not sure we speak about the same gate. 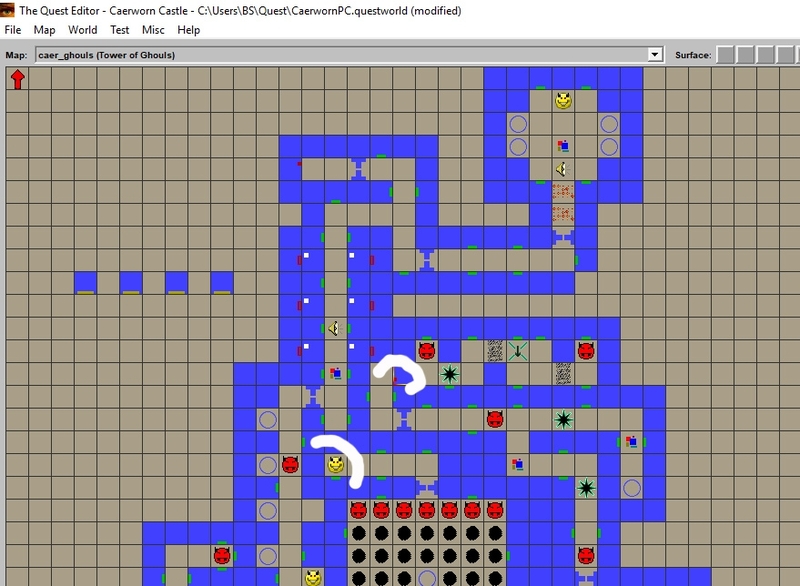 That gate is just after the gate keeper, to the north .And also is there a riddle with the four chairs ? Same the room with 9 plates ? Just answer the riddless and move on with necessary items (found nearby). Solved . But you must speak to the gate keeper BEFORE answering the riddles . If no, no way to open the gate. I’m getting close to finishing this expansion, which has been another brilliant addition to the game. I too am struggling to open the gate opposite the main entrance. I see you’ve mentioned a secret switch but I can’t find that either. Please can you help? Look for a gray secret switch on gray green wall. Here's the switch and the gate. 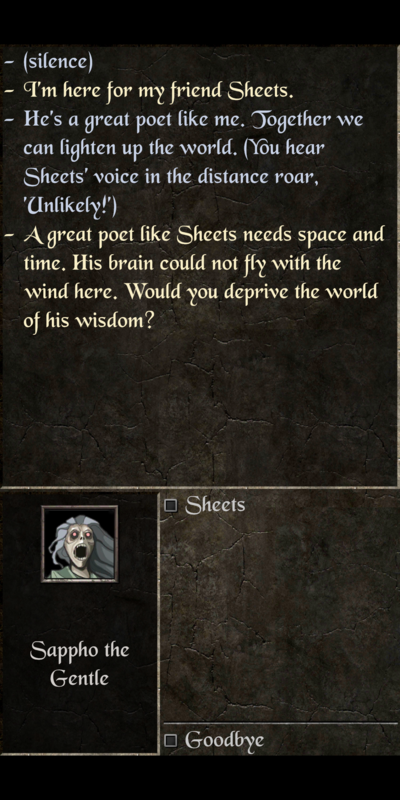 Sheets doesn't remove the forcefield. What gives? They disable some of the holes that would otherwise do something you wouldn't like. As to the force fields, Sheets doesn't remove them. Sappho removes one. A switch removes the other. There were two force fields. Did you use the switch? What did she say when you clicked on the yellow? I clicked it. She said nothing. What was left to say is goodbye. Persuasion and Lockpick greater than 90. Lockpick... Never would have figured... I thought disarm skill would solve it, as there was a disarm spellbook on that tombstone... Thank you very much! If you answered the questions correctly, speak to the gatekeeper again.